As I sat in the quiet at a Good Friday service today, I was distracted by hurt, a recent injury, an ongoing “discussion” (fight) I am having with someone in my head. 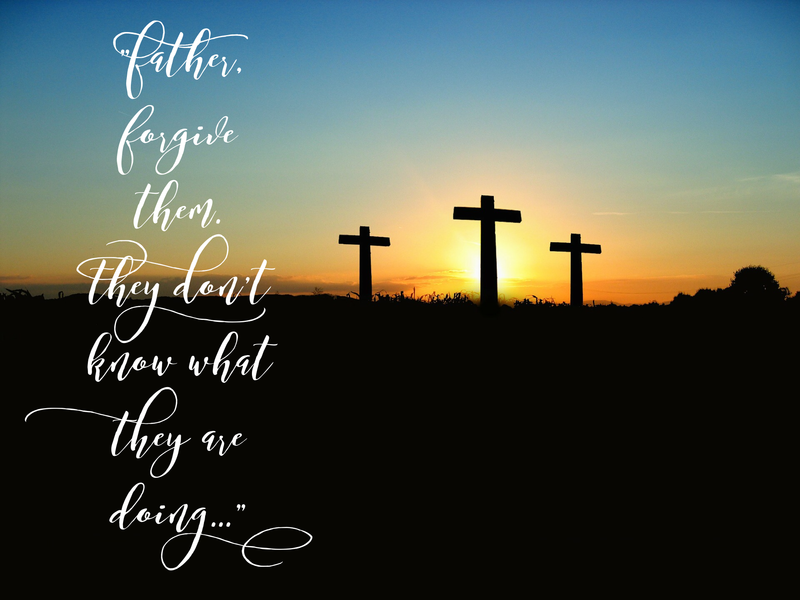 I worked hard to focus in on the story, the great drama of Good Friday. But my injured feelings kept intruding. But today they are new. Today they are for me. “They do not know what they are doing.” But those who betrayed, tortured, murder Jesus did know what they were doing, right? It seems pretty intentional. And those who hurt me also knew what they were doing. It isn’t betrayal, torture or murder, but it is a deliberate choice. It seems pretty intentional. But do they know? Perhaps those who betrayed, tortured, murdered Jesus lost sight of His humanity. And had they known they were turning over and slaughtering the Messiah, the Son of God, surely they would have made a different decision? One way or another, I am faced this Good Friday with a choice. A forgiveness crossroads. Can I read Jesus’ words and not apply them to my own situation?